BULLBOTS – It's just a prototype! Ready to Build a Bot? 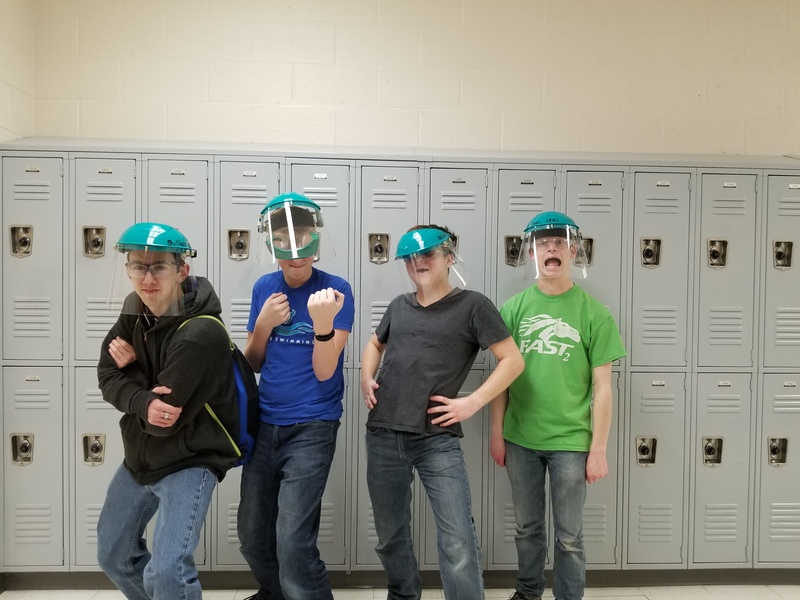 Build Season is in Session! Welcome to Bullbots’s Team 1891! 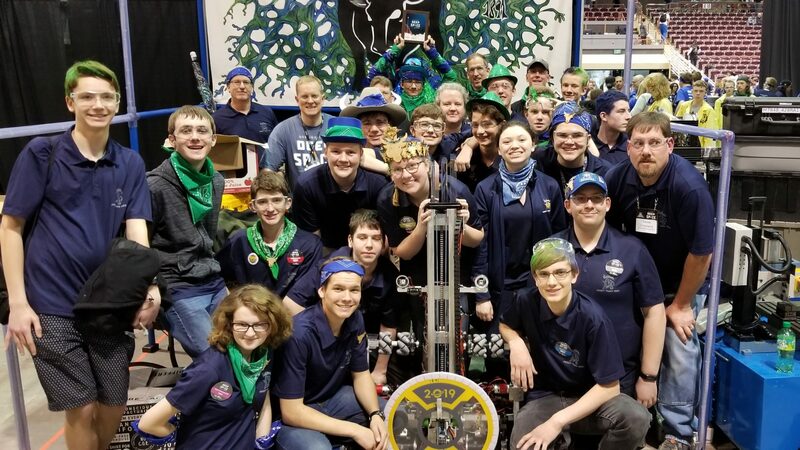 The Bullbots are the first established team in the Treasure Valley/Boise, ID. We have helped branch out to many other students to create neighboring teams. We started in 2006 with the help of Micron and other sponsors. We have sought to promote FIRST values and invite more students to participate in FIRST. We have attended the local BSU Stem Day to promote our team, FIRST, and interest in STEM. Other community involvements vary from Demonstrations, Large Service Programs and First Lego League Camps. We hope to encourage more STEM interest and community growth through our efforts. Each year the FIRST Robotics Competition kicks off on the first Saturday of January. Students from all around the world gather to watch the live stream revealing the official game. After the kickoff, teams set out to create a robot that will complete different tasks around the field. 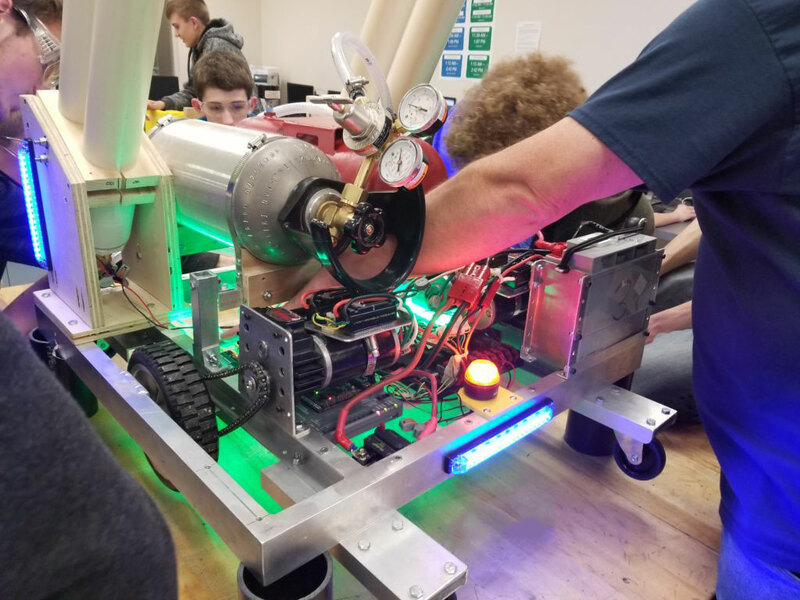 Over the course of the next six weeks, students will be guided by mentors in building, wiring and programming a robot to beat out the competition. FIRST Robotics Competition challenges students to think outside the box and create amazing inventions. FIRST is more than robots, the competition hosts thousands of students with the same interests, bringing them together. Is your child interested in robotics? We have a complete introduction course to robotics using LEGOs! During the camp kids will learn how to code their robots to perform various tasks around a field, then will remake their bots for battle. 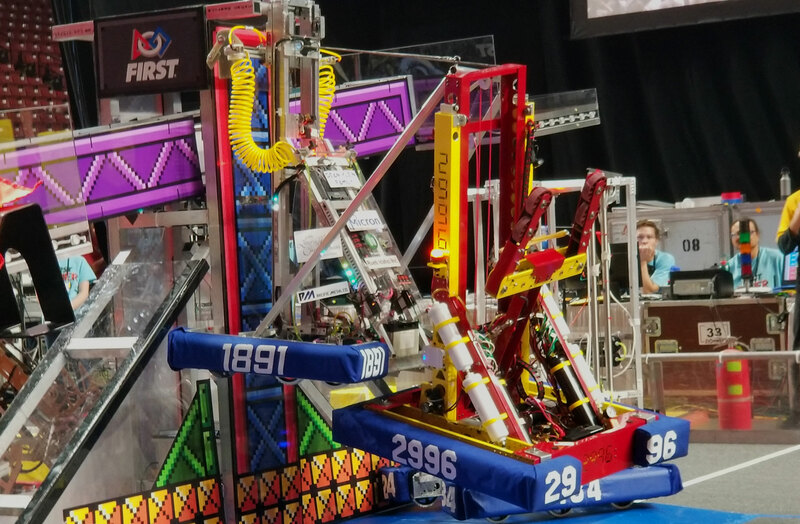 This year’s First Robotics Competition, sponsored by Boeing, encompasses a space theme powering robots to load cargo onto rockets and cargo ships. Robots must race against the sandstorm and prepare their vessels for travel. Throughout the match robots will pick up cargo, storing it safely into compartments around the field, and keeping it secure with hatches. Once the time runs out, rockets will leave and robots return to their habitat before the oncoming sandstorm. Want to learn more about Destination: Deep Space? Visit the links below to learn more about our 2019 competition.